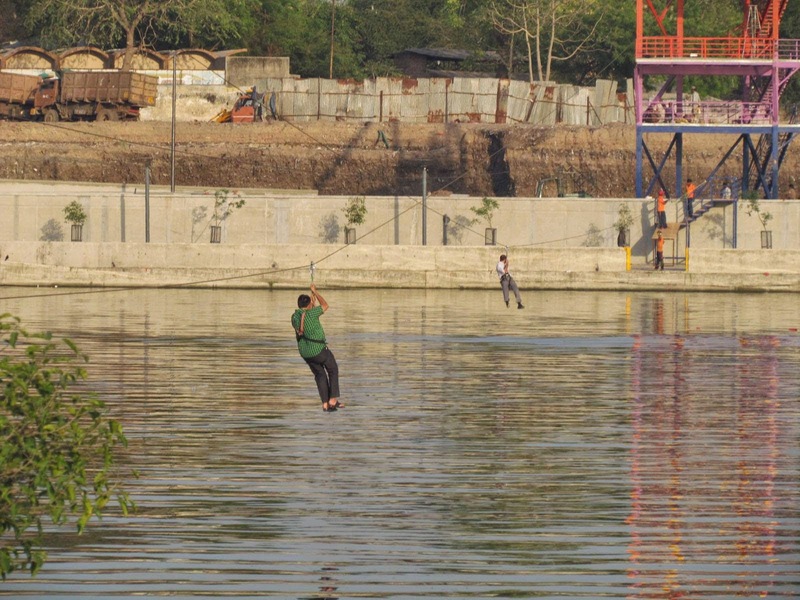 Zip-Line across River Sabarmati is now open!!! 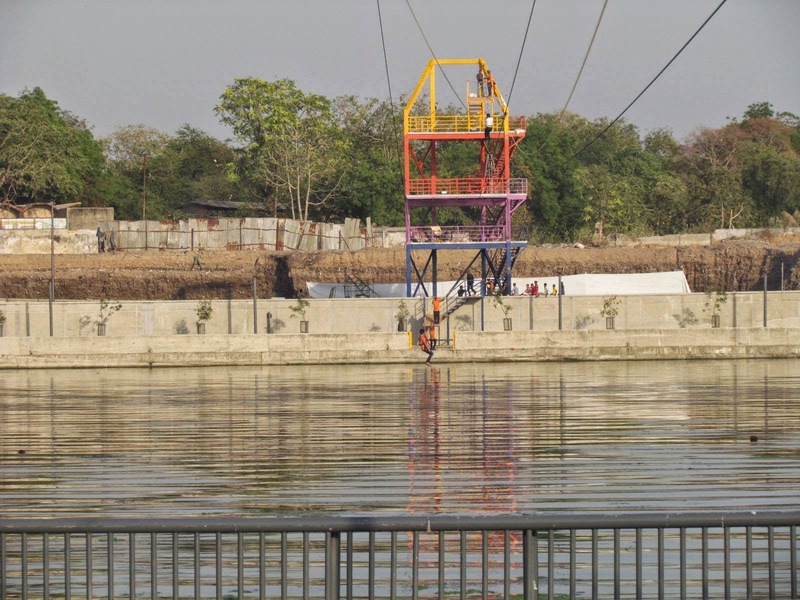 Yes, Ahmedabad Municipal Corporation finally open a new adventure ride ‘Zip-Line’ over Sabarmati river for public. 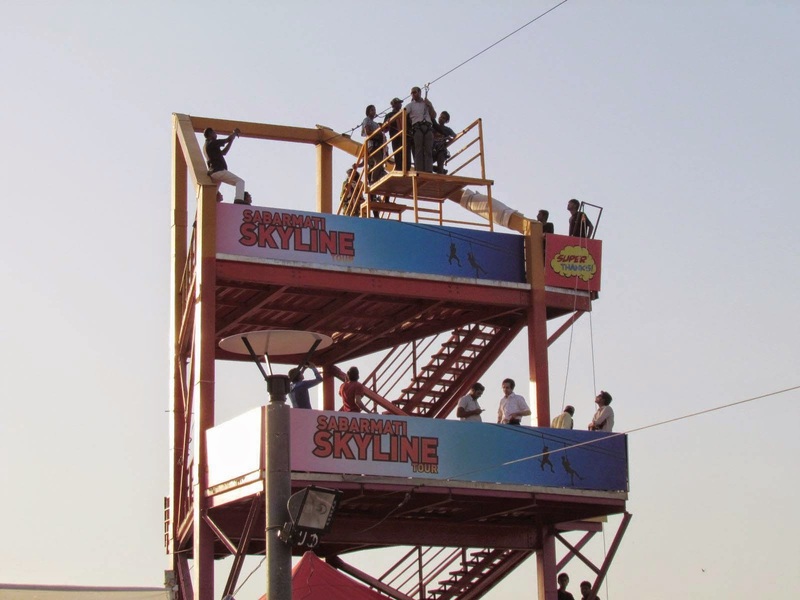 It was inaugurated by city Mayor Meenakshiben Patel. 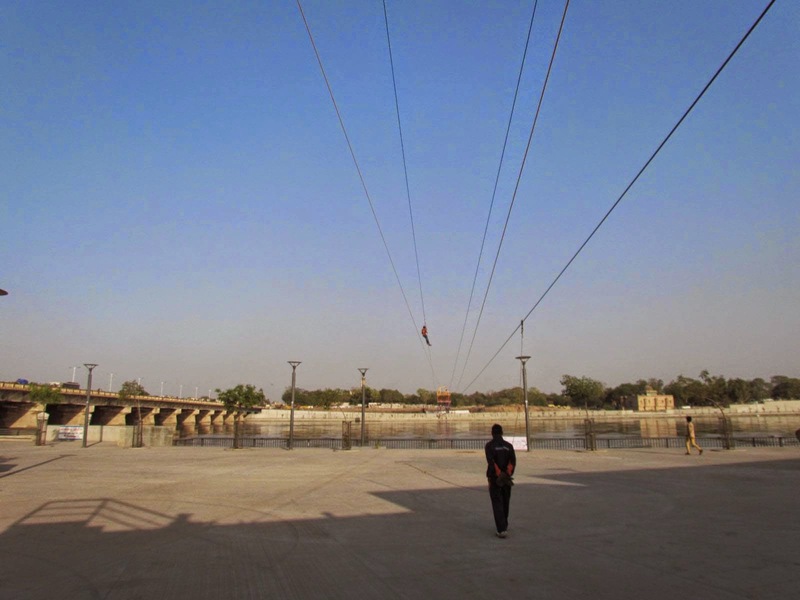 Zip-lining will enable a person to experience an aerial rope slide and move across the other parts of the river covering a distance of 270 meter.